Do you or your loved have personal errands to run but are unable to drive due to illness or injury? Perhaps your children are unable to transport you because of their busy schedules. Let Nightingale Personal Support Workers accompany you to the bank, shopping mall, beauty appointments or even social events. Let us assist you in getting to cancer treatments or medical appointments.! Regardless of the location, locally, out of town or out of country, Nightingale will get you there safely. 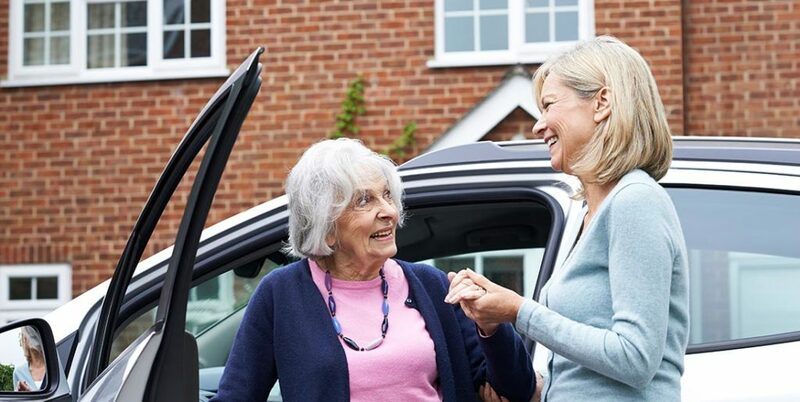 Nightingale offers personal transportation for seniors and persons with disabilities. Our personal support workers are trained to provide comfort, safety and to ensure your well-being is taken care of during your travel. Helping our clients maintain their independence is one of our top priorities. services.